Approx. Trekking KM. : 110 KMs. Anything not specifically mentioned under the head. The adventurous journey of trek will make pleasurable trace when you will reach Manali by 10 am in morning and will leave for Barsheni Village which is surrounded by thick pine forest and green pastureland. Then further you will move to Kalga village which is only 30 minutes away. Then you can make your base camp in Rudranath and can shelter in base camp which tender the silence of wildness and capture the beauty which will give you interesting feeling. The second day you will move to long trail and continue from Rudranath to move ahead and cross the bridge from here you can see River Parvati. Pin Parvati pass trek is very enthralling experience to have fun while trekking and enjoy the enormous landscape view very closely. The trail goes through thick woodland cover and involves a sheer ascend of over 30 minutes. The climb goes on till you arrive at a point from where the follow takes a rational V turn and you can see rest room at your left. From here it takes another 10 minutes of walk up to a tending pastureland where Khirganga is placed. The last elongate side engrosses long climb through a pine woodland area and you will come across a beautiful waterfall. Today's trek will start for Tunda-Bhuj which is a steady climb out and form there you can view the Parvati River coming down from mountains left side. The track will move through long meadowland and chirping of birds will give you gleaming happiness. The road from Khirganga is the first stream crossing start with a constant ascent for about 20 minutes. Then you can see the temporary bridge over the edge of the mountains. There in route you can see small tent where the local wholesaler sell products. After 30 minutes you will way out from the forest area and will see meadow land and immense sight of the dell. Now you will trail the high peak of the hill. Once you arrive at the top, the follow will twirl within the hilly area and you see the huge area of the Parvati valley in front. This will be the final overpass that you have to cross and you will reach Tunda-Bhuj situated at high altitude of 10,500 ft above sea level. There you can see huge mountains covered with snow and the sight view looks very preety. As walking down you will reach to pastureland through opaque mixed jungle with profusion of lovely flowers and Greenery Island. The landscape view of Tunda Bhuj is very easy but the distance is some tuff as the bridge is very long to cross and time consuming. Crossing the bridge to the further side of the stream take time to follow up the peak. It takes 15 minutes to reach the steady climb as you pass through an inclined rocky meadow land. Trekking in Manali discover the prettiness of lovely landscape view and enhance the beautiful picturesque. As you start for further trail you will go upto high level and the landscape view can be see very striking. After the early rise crossways the Pandu Bridge, walk down towards the Parvati River at your right takes 15 minutes passing through the field's .Many steer can be seen with their group on the way by evening time, you will reach the Thakur Kuan which is situated at high altitude on 11,000- ft high above the sea level. The next morning you will feel great after taking long hour rest and get prepared for next follow. You will cross the terrain region and cross the multiple streams coming in your way. 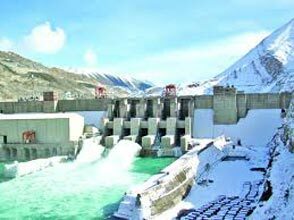 Further you will find Parvati River on left part which looks very attractive. 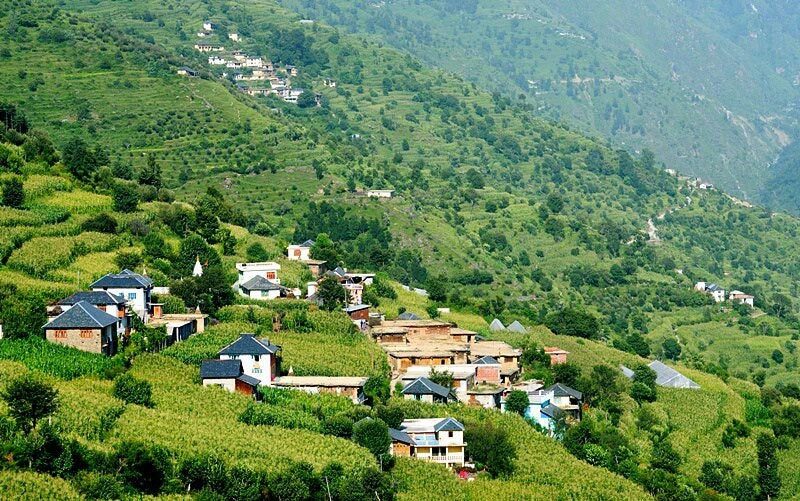 Then you will follow the big forest area and meadow land which can be seen aside the Parvati River and enter the Thakur Kuan region which is surrounded by pasture of orchard flowers and tiny tree. After passing the lane you can see high peak ranging above 13400 ft high Mantalai which is some hefty path to trail as it is bounded by large rocks and glaciers. 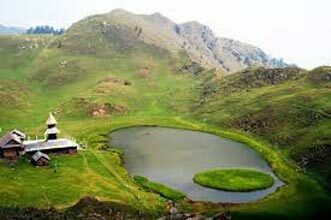 They range high surround by snow, tiny green grasses, which will enthrall your trek and you can enjoy the campaign and can view beautiful location of Parvati Pass Trek. Trekking in Manali adds the glimpse of high mountains touching the sky which are the glory of India. Another day is sixth day you will start for enjoying the foliage ambiance and feel the genuine gratitude of picturesque view. Manali Trek will feel you more enthusiasm and after taking lunch you will get tranquil. The attractive view in nighttime will look very magnificent with eye-catching view of plants meadowland and this place is one of the most attractive areas to draw trekkers. This pathway gives full happiness to trekkers and they enjoy the flora fauna of lovely sight view. After leaving the striking place of Mantalai Lake you will cross the river lane which is very hefty part of trek and then you will walk through high rocky areas and glaciers. Then you will climb towards the right side of the slope, follow the trail which is very long and takes 9-10 hours. It takes around to climb the high mountain above at 14850 feet. Then you will walk to the composite area, steepy rocks will make you feel tired. 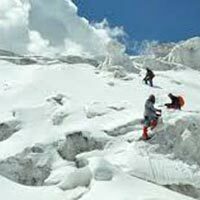 Then you will reach to base camp which is surrounded by greenery all where and big glaciers. There you will stay in base camp and take rest for hour and take delicious dinner. The trek begins another day after long hours of rest and after long voyage you will then enter in long valley Spiti Valley. The trail now climbs for an hour amid the glacier and a rock facade. After three hours of sturdy climbing and you will arrive at the top of the pass at 17,500 feet from where you can outlook the way of Pin valley towards Srikhand Mahadev. The follow come down over flurry and ice fields, covered with grasses and high rocks and stone will also come in your way. At this point you will need to be very careful as there you will see very hefty path which cross the dense forest lane and wild areas. The base camp is located in the centre of three vales. Moving further you can view the ranges of Dibibokri and Kulu Makalu which looks very fascinating and eye catchy as it is covered by large mountains and ice. The trace gets enhanced as you will continue from end to end to Pin Parvati Valley. There are two process of crossing the high glacier which is glided by river from three side brook. There in path you can see the lovely garlands and different type of flowers which can be seen all along the way, makes the adjacent view and make very preety sight .You will then reach the small charming community where you can take a gamble around the small township and visit Gompa region. At other left region you will continue on the right valley and ascend the high rocks. After passage the side flow you will reach a peak where trace direct to Rampur pass and reach the Wichkurung Thatch covered with long pampas and dense forest. 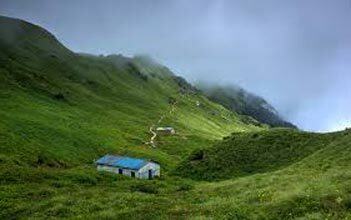 Pin Parvati pass trek makes an attractive pathway for trekkers to have fun and enjoy their luscious trek. After taking rest in camp house you will start for next destination to Mud Village which will take around 5 to 6 hrs and the route was very tuff as all over you will find hefty rocks. 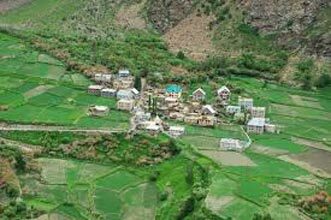 The view of lovely place Spiti Valley makes a very attractive view and looks very implausible. Then after taking lunch on your way you will move to Kaza region. The drive from Mud to Kaza is yet again stunning and offers brilliant outlook of the Spiti vale. This is a startling encampment where the analysis of the peak looks cascade and falls give trekkers to opaque the sight view in there camera. The high rock surrounded all over the village looks very striking. The another trail was not so long to cover as you will return back you will take less time approx 6 hours to reach from Kaza to Manali and takes 9 hours to reach. This will fill more enthusiasm while gazing the green pastureland on your way which will mesmerize your trek, give appeal feeling. Coming down is very easier for any trekker and when you will move down you can see waterfall attached to sloppy side of mountains. This route has major altitudes which will trail your path to base camp and you will see the picturesque view of pretty ambiance of Manali where you will stay in night and enjoy the cuisine and lovely sight view. 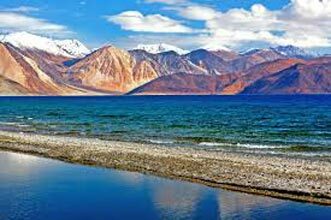 If time permits, you can take a detour and visit the famous tourist spots in Manali and then fly back to Delhi. Destinations Covered : Chandigarh City, New Delhi, Dalhousie, K..